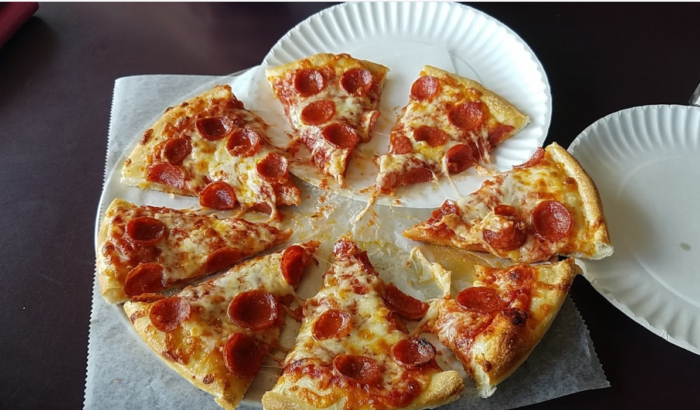 If there’s one food that fits well within any situation is pizza! For a celebration, a snack or just a dinner with friends and family, pizza fits well with anything. But, where’s the best? That’s a hard question to answer. So rather than come up with one answer, we’ve compiled a few of our favorites. 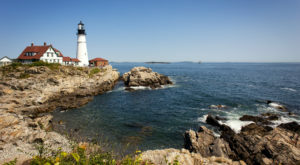 There are so many great spots in Maine, that we can’t possibly list them all so please be sure to let us know what you think! 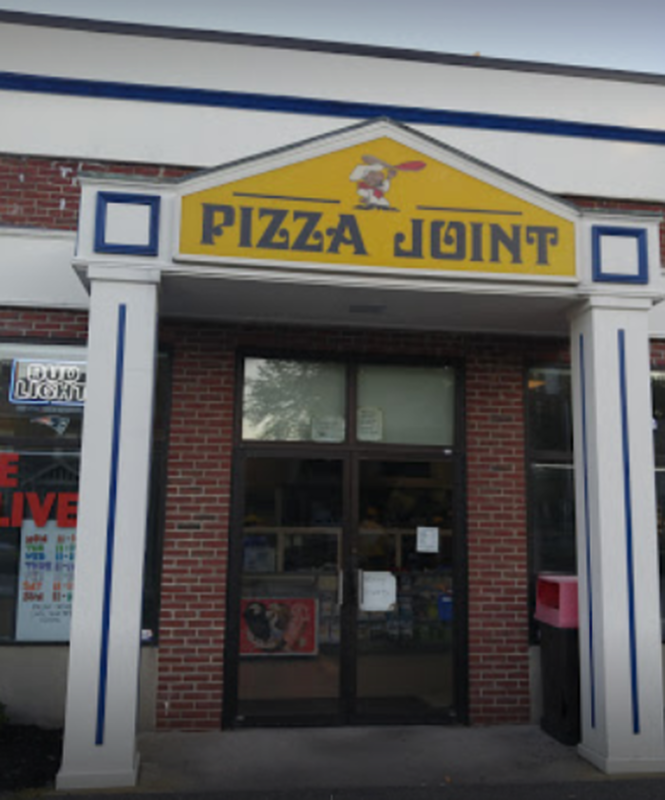 Some say this place is the only "real" pizza in the state, but with all the options it's really hard to say. 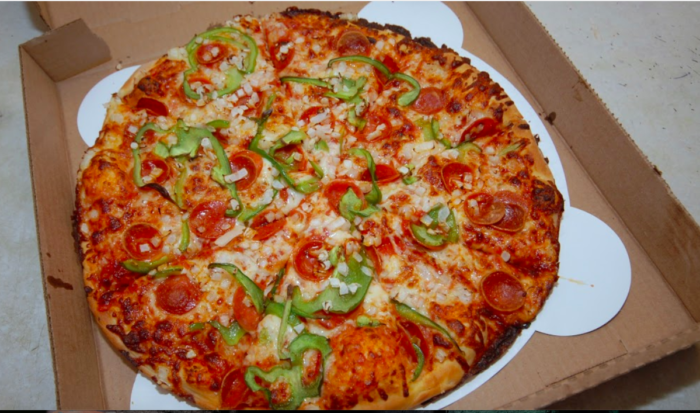 They've got pies that come in 10", 14" or 28" sizes and the toppings are perfection. Check them out at: 552 Washington St., Bath / 207-443-6224. 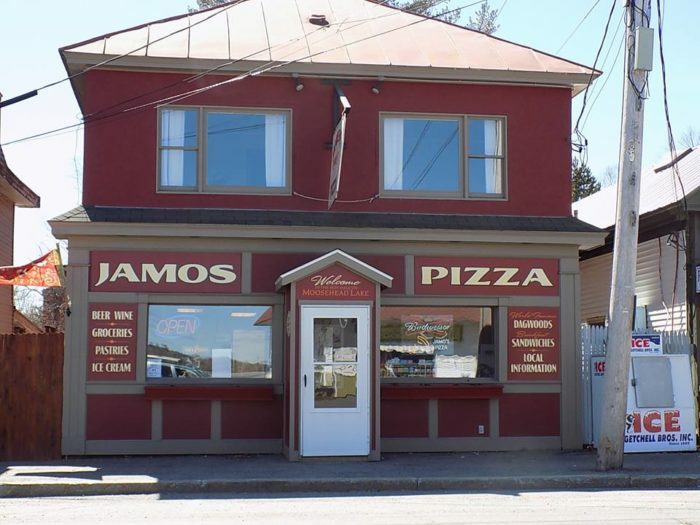 We love simple pizza spots that keep things real. This is a great option if you love that, too. There are three different sizes of pizzas, plus they have a drink cooler and chips. 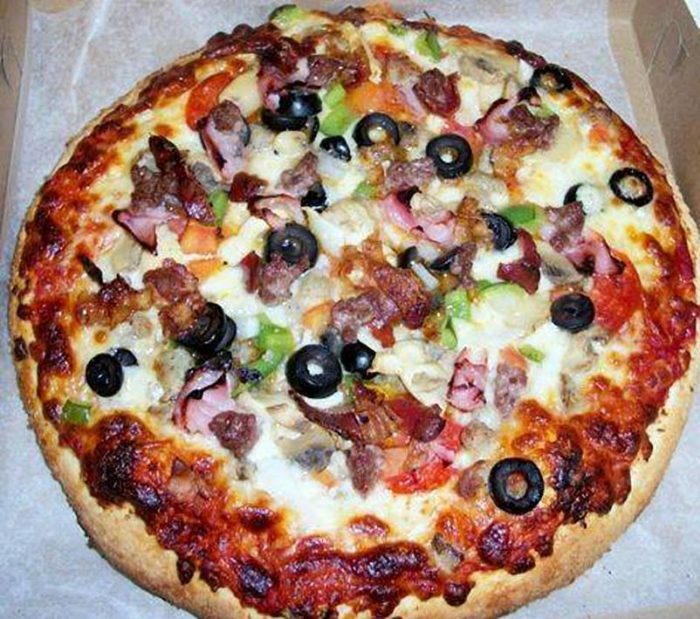 There's not much else to it and you won't really want anything else once you taste how good this pizza is. They'v been doing it since 1947, so it's no surprise that they've mastered it. 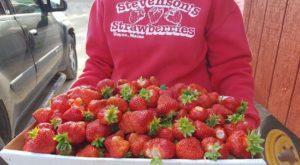 Check them out at: 768 Main St., Westbrook / 207-854-9122. 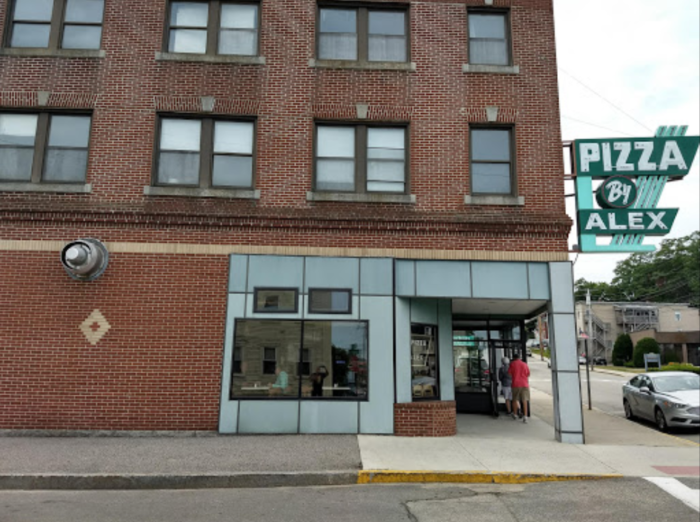 This spot has been serving up delicious pies to Mainers for over 50 years. But, that's no secret. 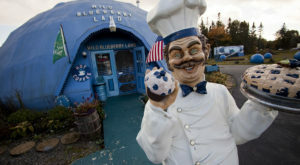 They often have so many customers that over a thousand pies get sold in a day. 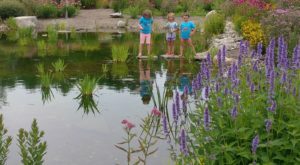 Check them out at: 93 Alfred St., Biddeford / 207-283-0002. 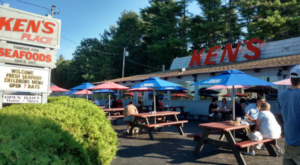 This place is one of the greatest Maine institutions of all time! It's been around since 1953 and has locations all over the state. 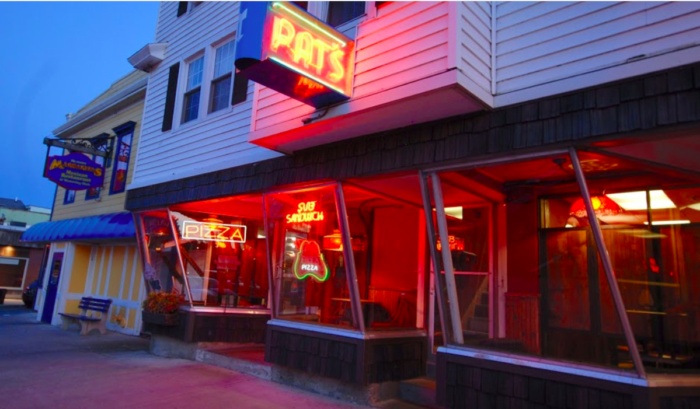 You'd be hard pressed to find someone here who hasn't visiting a Pat's. But in case you haven't, get yourself to any of them as soon as possible. 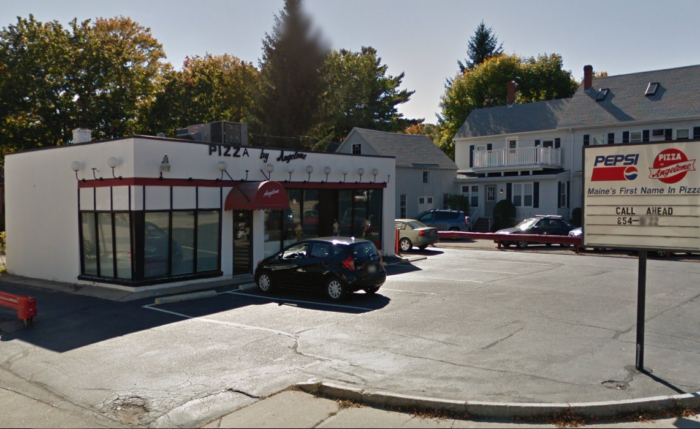 Start with Orono, which is the first location and is found at: 11 Mill St., Orono / 207-866-2111. 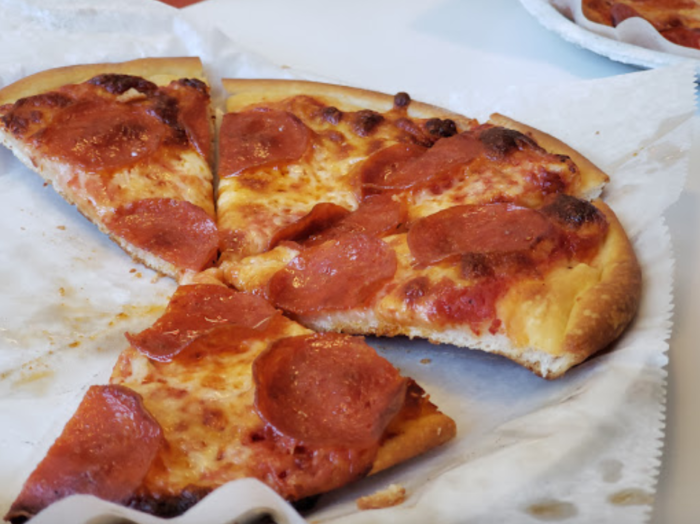 The pies here are full of sauce and cheese, plus the toppings are some of the best when it comes to options. 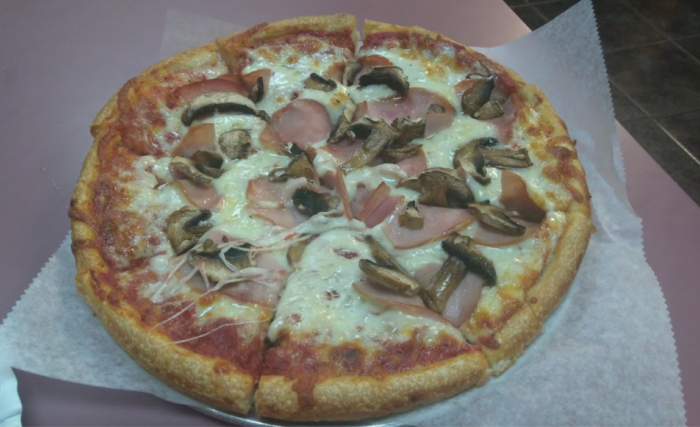 This is simple, local pizza and it's a great choice in the area. 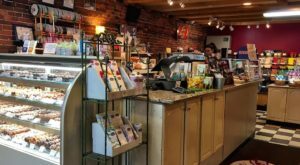 Check them out at: 61 Main St., Winthrop / 207-377-6996. 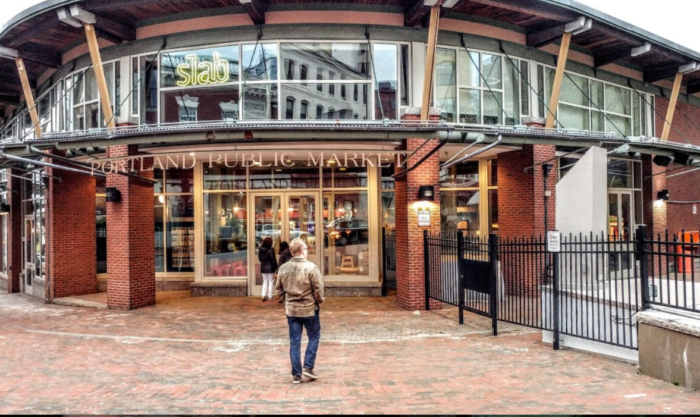 The best thing about Slab are the giant, fluffy pizza slices known simply as "slabs." But, the fun doesn't end there. They also have a great menu of Sicilian street food and a wonderful bar. 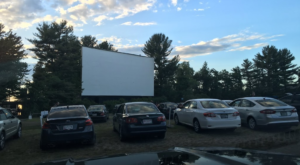 Come in the summer to enjoy the outdoor entertainment. 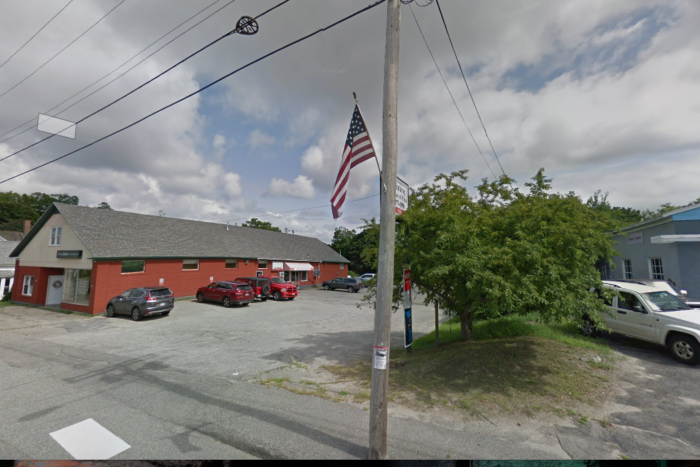 Visit them at: 25 Preble St., Portland / 207-245-3088. 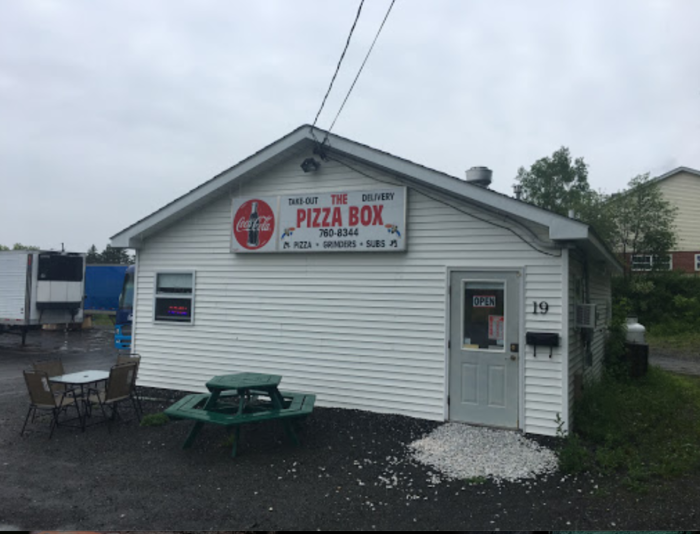 Folks say this place is one of the best to get pizza in the area. The sauce is sweet and the toppings are great. Things here are simple, but that's exactly how we like it! 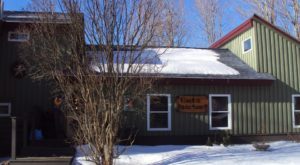 Check it out at: 19 Davis St., Presque Isle / 207-760-8344. 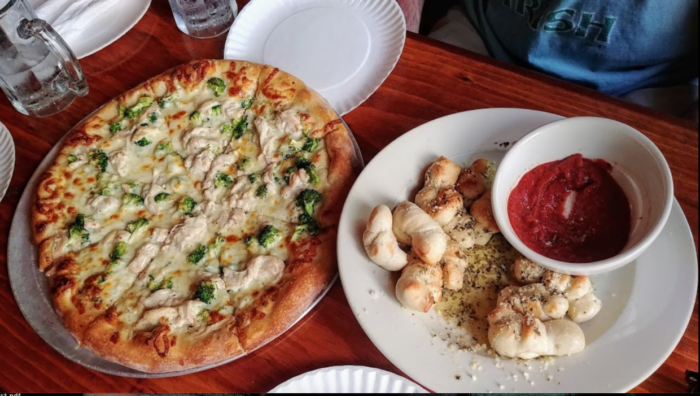 Tucked away off the coast, we love this little spot because it has some of the best pizza in the area. 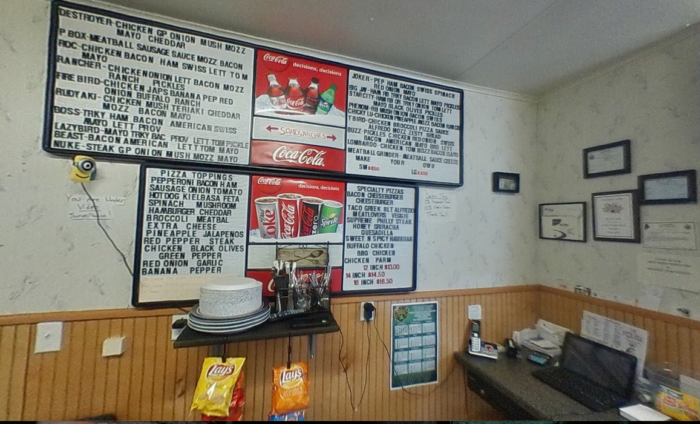 There are lots of toppings form which to choose and the vibe is casual and comfortable. Visit them at: 34 Pritham Ave., Greenville / 207-695-2201. The first thing worth mentioning is the all-you-can-eat deal that happens here every Monday, Tuesday and Wednesday. 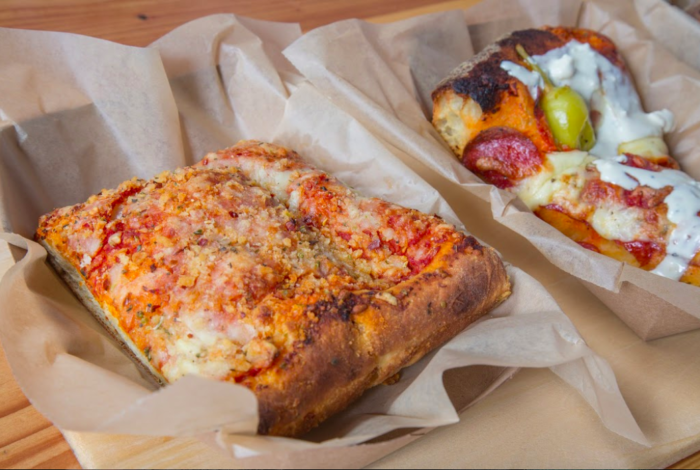 If you love pizza, you're not going to want to miss that. They also make pizzas in 10" and 14". 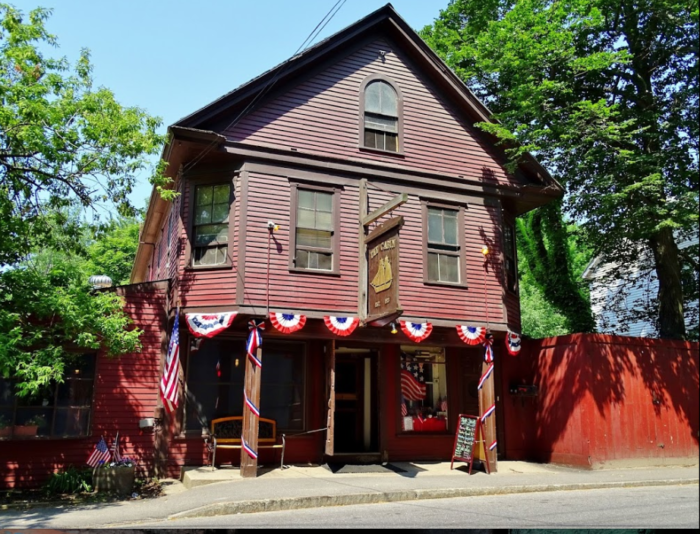 Check them out at: 563 Center St., Auburn / 207-782-7141. 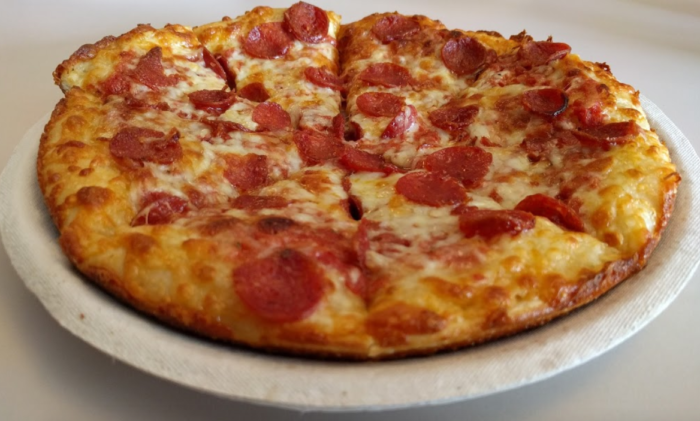 Whether you like your pizza personal or prefer to get something giant to share with friends, Pizza Joint will make you happy. They've got everything from an 8" pie to a huge 20" version. 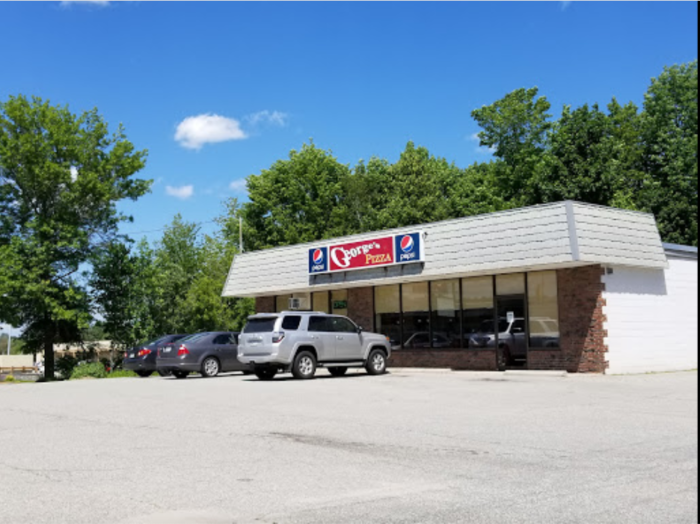 They've been around since 1977, so this is another example of a place that's had plenty of time to learn the perfect pizza. Visit them at: 448 Forest Ave., Portland / 207-797-3192. 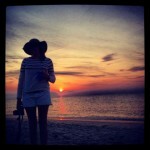 Looking for more bucket list meals? Check out our list of 2019 bucket list restaurants you need to try.